!! immer noch NEUES LOCATION !! 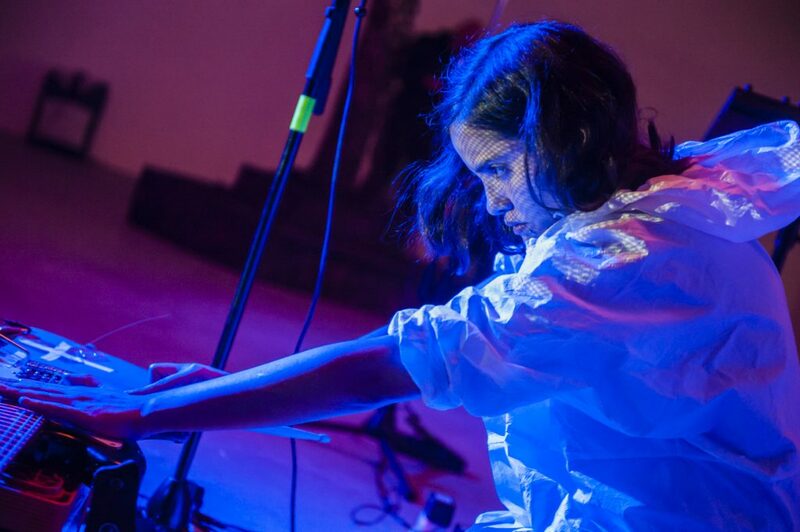 Peruvian electronic musician Ale Hop crafts pop arrangements with an experimental edge, utilizing electronic effects in order to mutate her voice and processed layers of looped electric guitars that she creates with extended techniques and employing various wooden and metallic materials against her instrument. She is now promoting her fourth studio album BODILESS, out on tape via Buh Records. Our human, rich, complex and multiple life is strangely and increasingly reduced to biological survival, and meticulously monitored. Philosophy cannot but take on the task of resistance and the thought of resistance. A philosophy of life must say on the contrary. This art movement took root in October 2017. It displays a sensual diary from late Autumn, and from a period between June 2018 to beginning of March 2019. 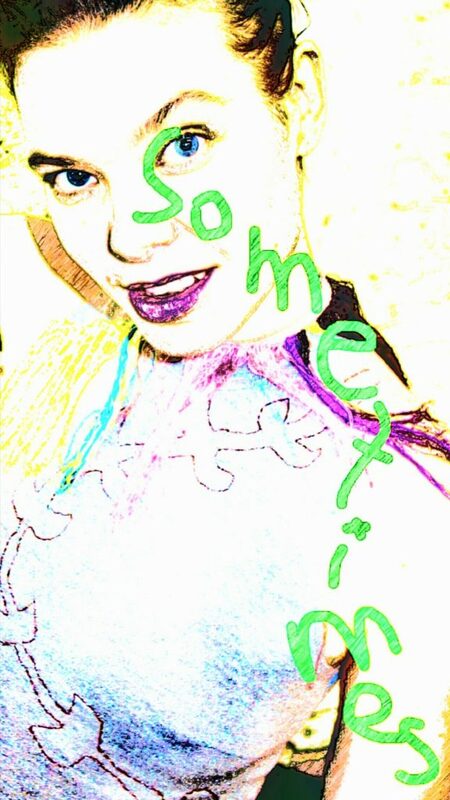 Sometimes is an unpretentious search for poetry that feels like the search for the early evening movie. Uncovering unexplored places allover, Sunlight while crossing traffic lights, curves of tram rails. Starting in a broad way. Looking at images of space, brand new snow. aufgewachsen in Tschechien, lebt in Wien. Sie studierte Philosophie, Tschechisch und zeitgenössischen Tanz, arbeitet als Choreografin und Performerin und unterrichtet Tanz. Prokopová erhielt ein BKA-Startstipendium und 2012 ein danceWEB-Stipendium. Zentrales Element ihrer künstlerischen Arbeit ist die Interaktion von imaginärer Körperanatomie mit Sound und Text. In Österreich arbeitete sie mit Liz King und Christine Gaigg / 2nd nature. Zu ihren letzten Arbeiten zählen Corpse of a dance piece im Rahmen von imagetanz (brut 2015), It beats soft in the veins (WUK performing arts 2017), das auch bei 8:tension, ImPulsTanz, gezeigt wurde und Knuckles become clouds (Tanzquartier Studios 2019). Gerard Lebik‘s music and sound works oscillate between improvised and composed forms. Using acoustic and electronic media, he focuses on such phenomena as time, space, the perception of sound waves. 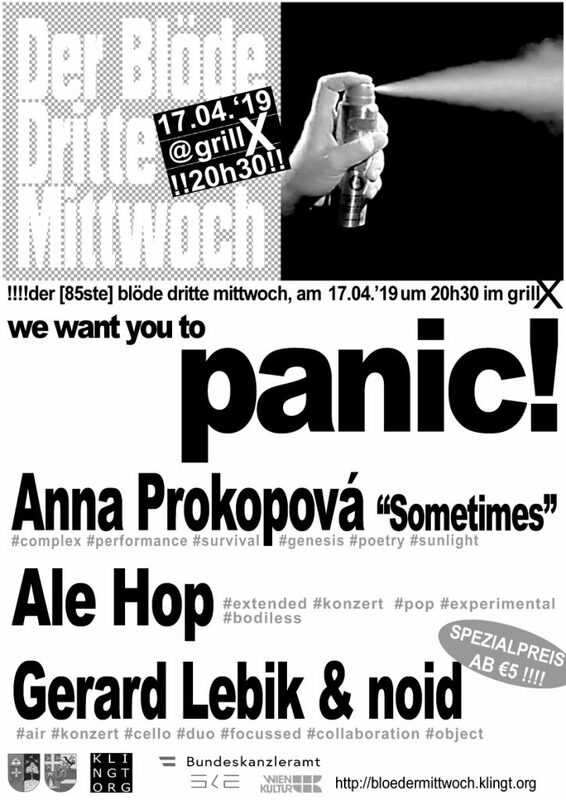 With Zuzanna Fogtt since 2014 creates Sanatorium of Sound – festival/platform for experimental and new music. noid /aka Arnold Haberl *1970, studied cello and mathematics. He is teaching at the Multimedia-Art department of the University for Applied Science in Salzburg. 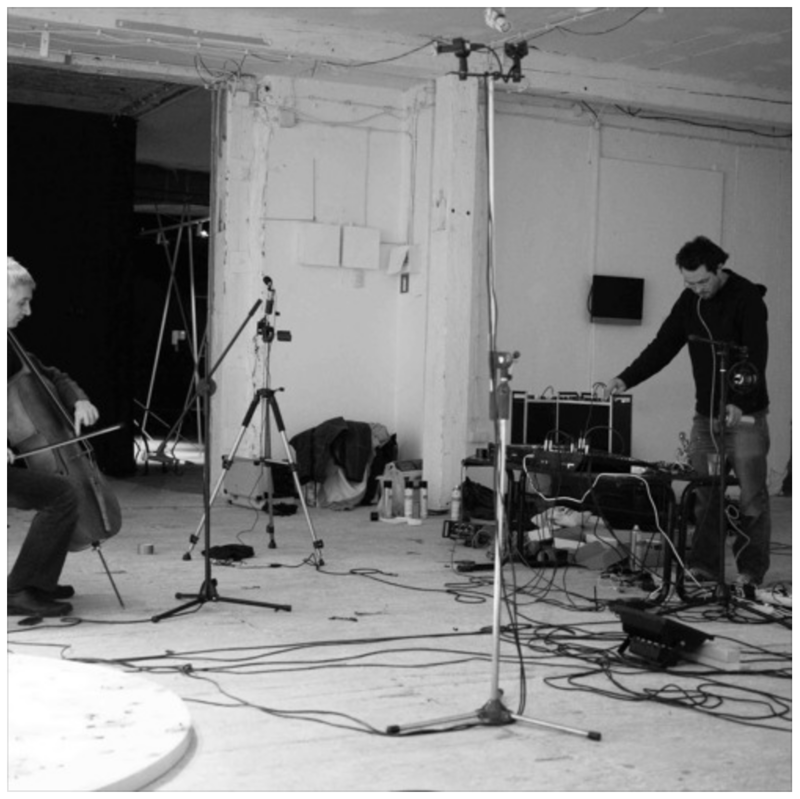 The composer, sound-artist, cello player and improvisor understands his work as fundamental research, leading to a wide range of contradictory outcome spanning from cello-solo and tape-pieces to compositions for ensembles, improvisation scores or performances with electronic or hybrid instruments, from sound-installations to videos and imaginary music.